In the last few years of their careers, many lawyers begin to think about the meaning of legacy. What has been my contribution? How will I be remembered? Part of being a professional means having a vision beyond simply working a job and earning money. Most lawyers are guided by personal values, a commitment to service, and a sense of purpose. At the end of our careers, we aspire to look back with a sense of satisfaction at having made a difference for others. The way in which we bring our legal careers to a close can greatly influence whether or not we succeed in achieving that sense of satisfaction. While the money we’ve saved for retirement can help us feel financially secure, money can’t buy the conviction that we have served honourably and in a manner consistent with our values. Taking care to wind up our practices while leaving our clients, colleagues and employees better off than when we found them is essential to a satisfying legacy. So how do we do it? Despite increased interest in recent years in the purchase and sale of law practices, most lawyers choose instead to simply wind up their files. Long-lasting and successful lawyer-client relationships are often driven by intensely personal factors like trust, familiarity, and fit. To clients, a lawyer, especially one in sole practice, and his or her firm can be synonymous – when the lawyer retires, the client may not necessarily be content to simply be transferred (or sold) to a replacement. This can be especially true if the relationship has been long, and the proposed replacement lawyer is much younger than the original lawyer; or if the retiring lawyer was a recognized expert in his or her area of practice and the newcomer is just starting out. Lawyers who practise with others may have the opportunity to have their business bought out by partners, either via a lump sum or in the form of a percentage paid on transferred files. Relationships with trusted partners and associates make it much easier to seamlessly transfer open files, and offer a sense of comfort that valued clients will continue to receive high-quality service. Working in a firm can also allow for the re-allocation of clerks and other staff within the organization, and for the preservation of closed client files in an existing and secure data management system. Many lawyers, near the conclusion of their careers, opt to serve the firm for a time in an “of counsel” role. Some retiring sole practitioners have had success moving their practices under the umbrella of a local firm to become “of counsel.” This strategy allows for the gradual transfer of client files to other firm lawyers while the retiring lawyer has his or her name on the letterhead – a factor that can enhance the likelihood that the clients will stay with the firm. The arrangement provides an income stream (often, explains Leclair, in the form of a percentage of billings on the acquired files) to the retiring lawyer while he or she transitions gradually out of practice by taking on a new role as advisor to the firm instead of to clients directly. Of counsel work allows retiring lawyers to mentor others and to maintain some connection with the law, at least for a period of time. Of counsel arrangements don’t eliminate the need to comply with Law Society practice-closure rules: clients still need to be given notice, and the lawyer still needs to get off the record. Funds in the lawyer’s trust account must still be carefully accounted for, whether they are transferred or disbursed. Also, especially in smaller centres, a certain number of files may need to be transferred to external lawyers due to conflicts. But anecdotal reports suggest that transferring a practice to an existing firm may be a more successful strategy, on average, than a traditional sale. Retiring lawyers who wind up a practice from within a firm must still comply with the Law Society’s Rules of Professional Conduct as they apply to closing a practice. This includes giving notice to clients, terminating retainers without prejudicing client interests, getting off the record in litigation matters, returning client property and money, and taking steps to destroy and/or store client files while maintaining confidentiality. (See the box below for highlights of these rules; for detailed information, consult the Law Society of Upper Canada’s “Guide to Closing Your Practice for Lawyers”). Sole practitioners and lawyers in small firms can also choose the winding-up route, but it will involve a little more planning and lead time, particularly where the lawyer was very busy, or practised in a niche area. In general, it’s best to choose a date well in advance of your proposed retirement date after which you will stop taking on new retainers. From that day forward, you can focus on completing the work required in active files, and in advising and/or referring clients who will need to retain new counsel. Jan Goddard has, like many others in the profession, observed the phenomenon of small-town lawyers struggling to find someone to take over their practices as they approach retirement age. She observes that this problem might be best avoided by hiring another lawyer much earlier in one’s career. Developing as a lawyer often requires making space for younger lawyers to come in and take on simpler matters so that the founder can tackle more complex files and avoid boredom and stagnation. If selling your practice is your goal, it is essential to begin planning for it well in advance of the date you hope to retire. For one thing, it can be difficult to attract a lawyer in whom you have confidence and who has the financial means to buy a practice, particularly if you work far from a major centre. Many lawyers who have sold practices report that it’s important to be prepared for false starts: the new arrangement has to satisfy both you and your successor, and it’s not uncommon for the fit to be wrong. If you are not confident in the commitment or ability of the new lawyer, you won’t feel good about the deal. A poor fit can also mean a poor rate of return business. Depending on how you structure the purchase deal, this may have significant financial consequences not only for your buyer and your former clients, but also for you. Many purchasers prefer to see the purchase price paid in instalments, with instalment amounts contingent on the profitability of the practice after the transition. Some arrangements provide for an initial up-front payment, with a second instalment payable a year (or more) later. The amount of the second instalment can be tied to a metric (for example, a billings target, or a number of return retainers) devised by the parties. Another option involves the purchasing lawyer paying a percentage of (collected) billings from return business from former clients. Sellers who insist on an upfront price may have trouble getting a buyer to agree to a valuation formula. Kathleen Geiger, proprietor of Geiger Law Practice Sales, contributed to the “Succession Planning: Buying and Selling A Law Practice” module of the Ontario Bar Association’s Enterprising Lawyer series. In her presentation she reported often finding herself in a position of having to talk lawyers down from their initial assessment of what a law practice is worth. For example, some lawyers fail to take into account the contribution of their own labour to a practice’s value. Said Geiger, “you have to come up with a figure that represents the value of your labour — whatever it is you require to cover your living expenses — and subtract that number from the firm’s net earnings.” In other words, if a firm brought in net billings of $200,000 annually, the true profit is not $200,000, but rather, $200,000 minus $75,000 — the notional value of the lawyer’s labour – so, $125,000. In the worst-case version of this scenario, the lawyer has been not simply leisurely, but negligent. The incoming lawyer may discover that limitation periods have passed, file deadlines have been missed, or renewable agreements have lapsed. Errors of law may plague some files if the lawyer hasn’t made the effort to maintain current legal knowledge. The result can be claims against the retired lawyer, and even against the purchaser, if he or she doesn’t act promptly to identify and tackle problems. The takeaway? If you are hoping to sell your practice, sell it while it’s firing on all cylinders, at the peak of profitability. Also, buy-up your run-off coverage for at least a few years after retirement to ensure you have high enough coverage limits to handle potential large-value claims (see “Don’t let claims follow you into retirement”). You will also want to consider client service related succession planning issues, some of which we touch on in “Don’t let claims follow you into retirement”. 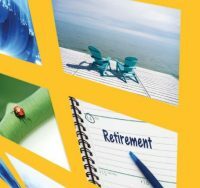 At least two months ahead of the big day, you’ll need to be sure to contact LAWPRO to advise of your upcoming retirement and to obtain information about run-off coverage.